Today, we’re going to play good news/bad news and then more good news/bad news. The bad news: The web novel raws are being removed from syosetsu. Only chapters 1-77 are still up. We didn’t manage to grab 78-179, and they aren’t on web archive, so they’re gone for good. But, more good news: We have decided to switch to the light novel version. Caelum was kind enough to purchase the e-books, so this means that there will be pictures. Yay! *more clapping* I think there was also some LN exclusive content as well. Since we’re only on chapter 11, we have decided to go back and rework what we have to match with the light novel. Hopefully, that won’t take too long and we can get to new content soon after that. And more bad news: The translation will be on indefinite hiatus until I recover from cancer treatment. To any ladies who read this series: self breast exams. Do them. Here’s a nice page with instructions and illustrations. Do it at least once a month. If you find something, go to the doctor. The earlier you find it the better. Younger people get it too. I didn’t think this was something I’d have to worry about until I was more like my mom’s age. Hey everyone! I’m still alive. Here’s a chapter. 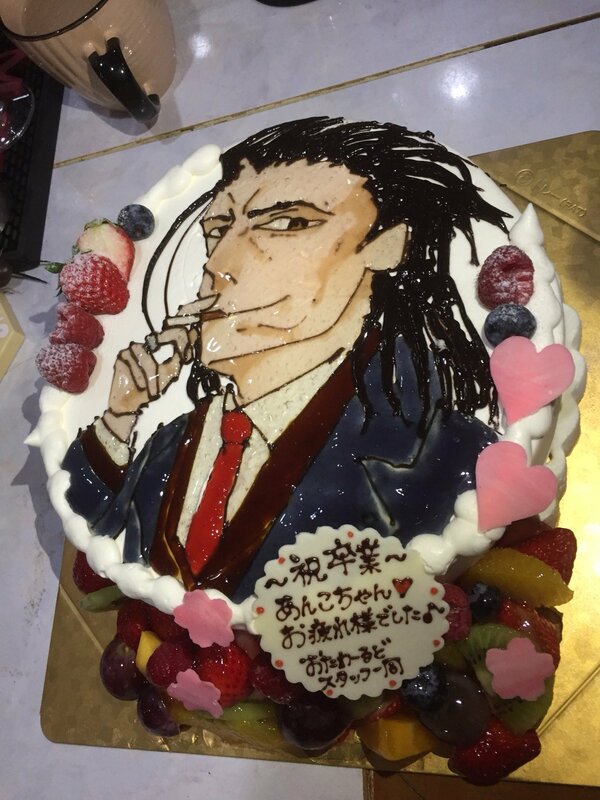 Look at this amazing cake I found on the author’s twitter! Also, you people who try to post spoilers in the comments, your comments will be deleted. Not everyone is reading the manga. No spoilers allowed. After pondering it for the past few chapters, I’ve decided to translate 聖女 as holy maiden rather than saint. Saint is gender neutral, but 聖女 isn’t, so I decided that holy maiden was more appropriate. I went back to previous chapters to fix it, so if you notice one I’ve missed, please let me know. Thanks!